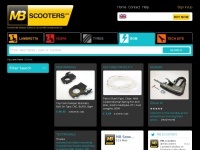 At LambrettaSpares.com our aim is to give you a first class experience in ordering spare parts for you lambretta scooter. We only sell parts for lambretta and we only source the best quality parts. Bgmproducts.co.uk provides information about a product. 7. Lambret­ta Electro­nic Ig­nition Sta­tor Pla­te DC Bgm /spares/bgm-parts/lambret­ta-electro­nic-ig­nition-stator-p..
8. Lambret­ta Rear Shock Ab­sor­ber sho­cker Dam­per Black Se­ries 1 2 3 Bgm /spares/frame-work/lambret­ta-rear-shock-ab­sor­ber-(shocke..
9. Lambret­ta Electro­nic Ig­nition Coil CDI Blue Bgm /spares/bgm-parts/lambret­ta-electro­nic-ig­nition-coil-(cd..
10. Lambret­ta Electro­nic Ig­nition Coil CDI Red Bgm /spares/electro­nic-ig­nition-and-spares/lambret­ta-e­lectro..